If religious and political concerns were often inseparable during the Protestant Reformation, then they were borderline indistinct in the life and career of Philipp of Hesse. Known most prominently as the Landgrave of Hesse, or as Philipp the Magnanimous, he was a leading political advocate for the right of Lutheran princes to reform their churches against the objections of Rome or the Holy Roman Empire. Though his religious motivations are beyond question, he approached Protestant theology from the perspective of a diplomat seeking mediating positions in disagreements between the reformers, and it was the combination of his moderate religion and combative statesmanship that led him to form the defensive Protestant alliance of the Schmalkaldic League. Moreover, his own personal moral and diplomatic failings would result in increased intolerance from the empire, the defeat of the Protestant league, and his own imprisonment. Philipp’s early years were marked by considerable unrest. His father, Wilhelm II, died as a result of syphilis when his eldest son was only four. 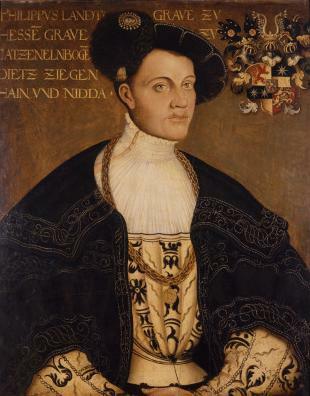 This plunged Hesse into political controversy over its regency, with nobles taking the temporary reigns and ultimately separating Philipp from his mother, Anna of Mecklenburg. The two were reunited in 1514, and Philipp officially became Landgrave in 1518. 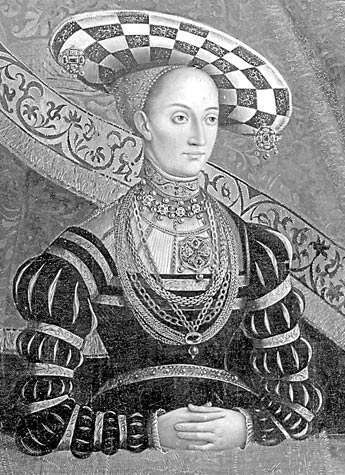 Though his mother left Hesse again in 1519 for a second marriage, it was only at her death on March 12, 1525, that the young prince finally had enough autonomy to bring about the full reform of his territory. There were two complementary sides to Philipp’s embrace of the Reformation: one political, the other religious. Politically speaking, Philipp and his family were at odds with Charles V and his Habsburg family. Seeing the Reformation as an opportunity for increasing territorial independence from the emperor, he urged a Protestant alliance from an early date. In 1524, he forged the Torgau League between Frederick the Wise’s electoral Saxony and Hesse, and he would continue to oppose Charles until his fateful defeat at the emperor’s hands in 1547. Alongside this political dimension, however, was his newfound religious conviction. By 1524, Philipp had met and begun corresponding with the Wittenberg theologian Philipp Melanchthon, and it was Melanchthon who led the Landgrave to accept evangelical reform. He would likewise follow the course of Melanchthon, not that of a Luther or a Zwingli, in seeking compromise among reformers and a mediating position on disputed questions of theology. Philipp’s practical reforms likewise took place on two levels. The first related to ecclesiastical reforms in his own territory. In October 1526, Hesse officially accepted the Reformation at the Synod of Homberg. Philipp attempted to enforce a church order that would have included a synodal structure of church governance, as well as provisions for smaller, more independent gatherings of believers within that synod. He corresponded with Luther about the proposed order, but the Wittenberg theologian had reservations over the massive structural changes and the aggressive legislation of reform. He likewise criticized Philipp for proposing a general visitation of the churches to initiate reform because he opposed an imposition of reform through governmental means. Nonetheless, Philipp was able to reform his lands and put the proceeds from those measures to good use. In 1527, he divided the profit from seized monasteries, applying 41% to the support of his crown, but 59% to ecclesiastical and educational endeavors. In this, he anticipated what electoral Saxony and other Lutheran territories would be forced to do in succeeding years as they came to the realization that so much of their ecclesiastical and educational infrastructure had depended upon medieval Catholic institutions, such as clerical benefices and Latin schools run by monastic houses. It was on the political and diplomatic level, however, that Philipp made his greatest mark on the Reformation. He emerged as an early opponent of Charles V’s Edict of Worms, defending the right of electoral territories to support Luther’s ideas and institute reform. He joined with Elector John of Wittenberg to advocate for Lutheran reforms at the 1526 Diet of Speyer, which placed the Edict of Worms in recess and allowed the rulers of the Holy Roman Empire freedom to reform their lands. Philipp even notoriously ate ox on a Friday (in opposition to the longstanding Catholic practice of not eating meat on the day of the week when Christ was crucified) during the 1526 diet to celebrate his newfound evangelical freedom. Such antagonistic effrontery, however, would cause problems for his reform party. In 1528, Philipp became embroiled in the so-called “Pack Affair.” A series of forged letters by Otto von Pack were circulated that told of an imminent threat of imperial attack against Protestants in defiance of the 1526 interim. Philipp—whether he believed the letters to be authentic, or simply used them as pretense for military organization—began to arrange a preemptive strike. This provoked an immediate reaction from Charles V, who at the 1529 Diet of Speyer rejected the 1526 concessions and proceeded to demand a resolution to the Protestant question. Philipp represented the Protestants and opposed Charles at the 1530 Diet of Augsburg, where the emperor rejected the northern German Augsburg Confession. The fallout from Augsburg would lead to Philipp’s crowning achievement: the creation of the Schmalkaldic League in 1531. The Hessian prince had spent much time prior to Augsburg attempting to form a broader Protestant alliance that would present a unified front against his Habsburg foe, but theological disagreement derailed those efforts. He helped organize the Marburg Colloquy in 1529, only to see the ongoing tensions between Luther and Zwingli result in the abandonment of a single Protestant confession at the Diet of Augsburg—the southern Germans presented their Tetrapolitana, while Zwingli declared his own confession, Fidei ratio. Once Charles rejected the Protestant confessions, however, the path was paved for a Protestant defensive alliance to protect themselves militarily against imperial action. Not only did the Schmalkaldic League prove defensive, but it also allowed them to campaign for reform. The league’s military effort at Württemberg in 1534 helped restore Duke Ulrich of Württemberg to his post and resulted in the duchy’s move to embrace Protestantism. The Schmalkaldic League furthermore proved to be a forum for theological dialogue, both within Protestantism and across the table with Catholics. Philipp had forged a partnership with Strasbourg theologian Martin Bucer at Marburg in 1529, and their shared strategy of mediation helped bring about theological agreements among Protestants at Württemberg (1534), Kassel (1534), and Wittenberg (1536), the last most famously setting aside disagreements on the Eucharist. The Schmalkalden Assembly of 1537 accepted Melanchthon’s Treatise on the Power and Primacy of the Pope as a response to the Catholic convocation of a council. Philipp in fact followed both Bucer and Melanchthon in seeing the diversity of theological opinion in the church fathers as a possible means to peaceful religious reconciliation, again both among Protestants and with Catholics. He even came to support the religious colloquies of 1539–41 sponsored by Charles at Hagenau, Worms, and Regensburg. Philipp’s reasons for supporting the imperial-sponsored colloquies, not to mention the reason for the Schmalkaldic League’s ultimate demise, can be traced back to his fateful decision to enter into bigamy, which was strictly prohibited by imperial law. At the age of 19, Philipp had married Christine of Saxony, the daughter of Duke George of Ernestine Saxony. Though the union produced nine children, the Landgrave expressed his unhappiness in the marriage. In the succeeding years, he would appeal to theological advisors—most notably Luther and Melanchthon—for permission to marry another on the grounds that his sexual appetite was not being fulfilled by his present wife. In 1539, presumably under the seal of the confessional, both Luther and Melanchthon capitulated to his requests, and a year later Philipp married 17-year old Margaret von der Saale. The failure of the religious colloquies and the tenuous legal position Philipp had placed himself in through the bigamous marriage convinced Charles that unity in the empire would be best attained through force. With the backing of France and Rome, not to mention the convocation of the Council of Trent in 1545 without Protestant participation, Charles clashed with Protestants in the Schmalkaldic War of 1547. Catholic forces prevailed, and Charles imprisoned Philipp until the Truce of Passau in 1552. A chastened Philipp emerged who would help broker the 1555 Peace of Augsburg, thereby establishing the right of the ruler to choose either Catholicism or Protestantism. Though he did later come to the aid of oppressed Huguenot Protestants in France, the once antagonistic and contentious Landgrave gradually faded from the public eye until his death in 1567, after which his Hessian territories were dived between four of his children from his first marriage to Christine of Saxony.